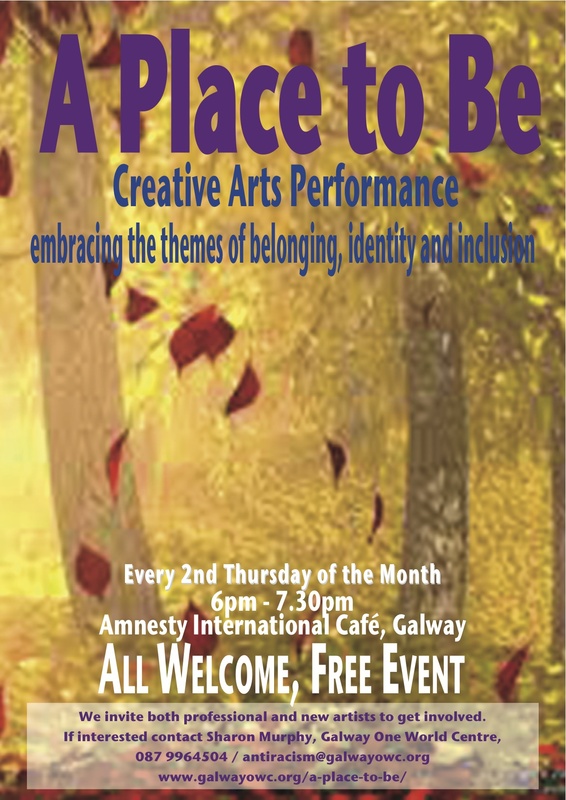 Galway One World Centre invites you to A Place to Be, a free, monthly creative arts evening of spoken word, dance, music and song, embracing the themes of belonging, identity and inclusion. Our next performance will be Thursday August 8th, 6.00pm – 7.30pm at Amnesty International Café, Galway, 2/3 Middle Street. This entry was posted in Country, Dance, Development, Development Education, Ireland, local / global, Uncategorized and tagged music, Poetry, Prose. Bookmark the permalink.